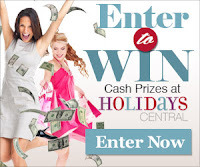 Browse » Home » Giveaways » Enter for a chance to win $50,000! Enter for a chance to win $50,000! If you're 45 or older, here's a great giveaway for you! If you aren't 45 yet, perhaps a parent or other relative would like to enter - let them know about this giveaway. You can enter daily for a chance to win $50,000! And you can instantly win a $20 gift card. To enter, head over to the AARP website. You'll need to have an account with AARP, though membership is not required - in fact, no purchase is necessary. To earn more entries into the sweepstakes, play one of the online games - the Social Security Knowledge Gap game or Funding Gap game. Click here to enter to win $50,000!